Once I went to a party and greeted my friends with ‘Jai Sri Ram’. One of my friends commented that I should use Secular Greetings. I put up my argument that when some body sneezes, English people say God Bless You. Muslims frequently use the word Insha Allah and so on. So why some body frowns when we say Jai Shri Ram. It is only natural for any one to remember his God in his own language. This is a natural behaviour accepted by all great persons. Being originally from Varanasi I am quoting a verse from a Great Poet from Varanasi Shri Shyam Narayan Pandey. You can see that in the above verse Akbar’s Soldiers remember the God in their language. It would have been inappropriate if the poet had not used the name of the God as spoken by their followers and had used the word Shri Ram instead of Allah in the above verse. It is very natural for all the persons to always remember the God in Good Times and Bad times. With all the respect for our Father of the Nation the last word of Mahatma Gandhi ji was Hey Ram ! I don’t think there is ever a person more secular than him. My Father Shri Dev Kumar Chopra is now in his eighties. He gets very agitated when he comes across any news of trafficking of cows for slaughter across state or country’s borders. We come from a Hindu Khatri Family from Varanasi. My Father’s Guru, and my Guru, was Shri Harihara Nand Sarswati popularly known as Swami Karpatri Ji Maharaj. Many of his books were published from my house at Sati Chabutara, Varanasi where ‘Sanmarg Karyalaya’ (Sanmarg Magzine) was located. Even the first publication of Goswami Tulsidas: Ram Charit Manas was published from my house, much before; it was published by Gita Press. Our family owned a Movie hall, then known as Nishat Talkies at Godowlia*. Post Independence my Father became an active member of Ram Rajya Parishad a political party who mostly allied with Hindu Maha Sabha. I am narrating his memories of that day of Goraksha Andolan, the 7th November 1966 which he has been telling us since our childhood. “We were advancing towards Sansad Bhawan, making slogan Gaumata ki Jai. Then there was this firing. People started running. I saw a Sadhu in saffron dress lying in pool of blood. Nobody dared to help him. A person, later I came to know he was a watchman from some building, urged everyone to help the Sadhu. Nobody else dared. I said let us go. We two advanced. A security person pointed gun at us. After a few moments, suddenly, he lowered his gun. Probably realising our good intention, Security person moved away a few feet. We reached the Sadhu .He was in great pain, hit by a bullet in thigh. We lifted him. Sadhu was bulky. I too had great body but we two had great difficulty in carrying him for some 40-50 feet, after which the crowd came for help. I do not know whether that Sadhu survived or what happened to him. The media was not so vocal or unbiased then; so such event never made a headline or I would rather say even a line. I salute such soldiers who fought or still fighting for Our Gaumata. *Very few people know that down town Varanasi- Godowlia is named after Gau Dhuli, i.e. the Dust atmosphere generated during evening when cowherds used to return back after grazing. Why the morning period is not called Gau Dhuli when the cows go out has logic. You know that in morning, the village or forest atmosphere remains slightly moist and the dust generation is low. But in evening, ground gets baked dry by Sun and with tens of thousands cows returning it becomes Gau Dhuli. Recent evidence of water on planet Mars once again proves scientific base of ancient Indian writings and Indian Astrology. In our scriptures planet Mars has always referred as son of mother Earth. Now scientists of this age have confirmed evidence of liquid water on Mars. Science is in process to search life on Mars. The scientists will witness more similarities of the Earth with Mars and there will be a time in the future when scientists of this age will recon our belief that planet Mars is originated from the Earth. Here I am referring to legend of Birth of planet Mars or Mangal graha (in Sanskrit) given in Skand Purana. There are several names given to Planet Mars. Prominent names such as Bhumisuta (भुमिसुत ) means Earth’s son. Kuja (कुज, कु= पृथ्वी ज = जन्म) Born from Earth; Bhumiputro (भूमिपुत्र) dhara suta (धरासुत) etc names of the Planet Mars (Mangal graha) have similar meaning. In English planet Mars is often called Red Planet. The earliest references in Indian text have bright Red colour associated with Mars. Prominent name of Mars is Angarak means “like burning coal or (burning solid fuel objects as wood pieces etc). The other name Lohit also means red. There are several references of birth of Mars. Skand purana Avantika Khand Avantyaka Kshetra Mahatmya narrates the legend related to origin of Planet Mars. Meaning in English : A sweat drop (perspiration) from fore head of Lord Shiva fallen on Earth. At this time Red coloured planet Mars originated from the mother Earth. After offering prayers Brahmins placed the planet in the orbit. The birth of Mars took place in the region of Avanti (Ujjain, Madhya Pradesh). In this place Brahma established Angarkeshwar Mahadev. In further shlokas holy rituals and effects are narrated. In day today language Dhyana word of Sanskrit is translated to its limited meaning “Mediation”. I try to explain here few references in our ancient literature about Dhyana. A reference of Dyana in Abhigyan Shakuntalam makes it clear that by practicing Dhyana one could know even those events with reasoning of which he was not having information otherwise. In other words to come across with the object (situation etc.) of meditation. When you (king Dushyant) desolated your wife Shakuntala at a pilgrim place called Apsara tirtha after the incident her mother Apsara Menka took her to my wife Aditi. At that point of time I came to know by dhyana that all this was effect of Maharshi Durvasa Curse which had validity till sight of the signet ring given by you to Shakuntala. In Maharishi Patanjali Yogasutra verses referring to Dhyana Yoga. Meaning: Meditate about what is appropriate. Meaning: By practicing dhyana dispose disturbance of life. Here Vritti (whirlpool) word is used as metaphor to describe disturbances. tatra pratyayaikatAnatA dhyAnam.h .. 2.. Meaning: To remain (continuous) in a mental state to have a psyche oneness with the content of meditation. tatra dhyAnajamanAshayam.h .. 6 .. In today’s world general understanding of Yoga word is often confined with Yoga Asana आसन (literary meaning seated position) which is only third step approaching towards Yoga. The word Yoga in philosophical term means to unite (with Supreme Being). Yoga is ultimate aim given in Indian philosophy. I am writing few lines about yoga in reference to Patanjali’s Astanga Yoga. 8. Samadhi (समाधि) State of a living self in deep meditation and different consciousness level. The state of body visibly still for others. In Patañjali’s Yoga Sūtras (Astanga Yoga) gives details of five of these Yama. In Hatha Yoga ten types of Yama are mentioned. Karak Chaturthi (करक चतुर्थी ) commonly known as Krava Chauth (करवा चौथ, ਕਰਵਾ ਚੌਥ). Karak Chaturthi (Karva Chauth) is fasting festival for Hindu women for suhag or saubhagya(marital bliss) and well being. The moment we hear word ‘Karva Chauth’ an impression of a women offering water to moon appears in our imagination. Besides being a ritual of this fasting festival it has a deep spiritual significance. Chaturthi or chauth means fourth day after New Moon and Full Moon. In hindu calendar each day is assigned to specific Daity and cathurthi is the day of Lord Ganesha. In Matsya Puran (chapter 23) association of Moon with Lord Shiva and Goddess Uma Parvati is described how they crested Chandra (Moon) on there Shikhar (head). Consequently Chadrashekhar  is one the Shiva’s adjective. One name of Ganesha is Bhaal Chandra  (Moon on forehead) for the same. So Moon is integral part of Shiva Parivar. Monday being day of Shiva. Soma is Chandra thus Somwar in Sanskrit means day of moon. So seeing Moon for worship is in fact symbolic of having a sight of Shiva Parivaar(family). Suhag Gauri is the Deity of Marital Bliss and Ganesha is source of all the Happiness is worshiped in this way. 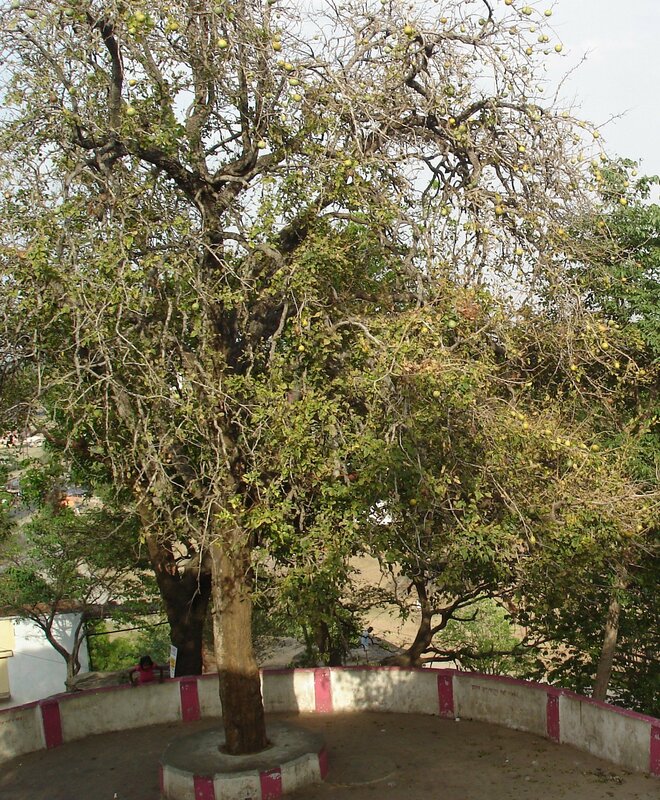 Karva is used in tendering Jal Arghya (which is valuable and deserve to be offered. Water is one of the element of (panchtatva puja ) to offer as a token of respect make offering of water by pouring it on deity thus falls on earth). Karva Chauth occurs every year on Kartik Krishnapaksha chaturthi as per hindu calendar. Many legends Katha associated with the karva chauth. This is the first richa ऋचा (couplet) of the Rigveda. I worship the Fire God, who is the divine priest of the ritual of the sacrifice, who bestows excellence. ‘Agnim’ = fire. ‘Agni‘ here refers to the fire god himself. hotAraM = Chief priest in leading or presiding role(The hotṛ who recites invocations and litanies of the rigveda. I am writing few lines here related with God through my personal experience and thinking. Once during my childhood when I was hardly nine or ten years old, I felt thirst so I took a glass of water mixed with ice; the glass was made of brass or bronze. I saw a thin layer of water outside the glass. I wiped it from my palm. Again I saw a thin layer of water was formed. So I inferred was coming from the pores of glass. After I grew up, I remembered the phenomenon of childhood and I came to know that water did not come from the pores through the glass but it was water vapour omnipresent in the atmosphere. The incarnation of God may be compared with water inside the glass a concrete form and water vapour present in the atmosphere is like omnipresent God. It is colourless but it can assume the shape of myriad colours of cloud. When I was in high school I read a story (Tales from Shakespeare) by Charles Lamb called “all’s well that ends well”. I don’t remember the full story now but in one page of the story I read something was written in between- Indian, who adores the sun that looks upon his worshipper, but knows of him no more. Why? If the God is omnipresent, he must be present in the sun, too, which has the volume 109 times of our earth. If the God is not in the sun, he is not omnipresent and maybe he is nowhere. Now I am telling my personal experience related with the topic,” about two years back I went to a hospital for full body check up. Seeing my eyes doctor told “you are having cataract in the eyes and asked whether I am able to see? I said yes I can see I didn’t say I daily look at the Sun (God) for a few seconds while performing daily worship. I have no problem in eyes except while reading newspapers I use spects, if he is there (Sun) he can see us and would know us also. Among the incarnations Ram and Krishna are prominent and illustrative, Ram is associated with Sun and Krishna with Moon Ram was born at the midday and Krishna at the midnight. Colour of Ram is compared with blue lotus The blue lotus I interpreted blue of the sky , blue of the sky is created by the Sun rays. Krishna was born at the midnight of Janmashtami when half of the Moon was present. The sky colour becomes blue-black, the complexion of Krishna. The sky is infinite or better say infinity. The omnipresent God is nothing but infinity. Here by ‘nothing’ I meant smaller than the smallest or the soul. The soul is consciousness present in our intellect and it whole of our body and activates all its functions. When the soul leaves, our body is called dead. The reality is life. Krishna means black, which means absorption of all the light and no light goes out of it and the second meaning of Krishna is ‘Karshan’ is the force of attraction. Combining both the meaning, it reminds me the black hole well known to the scientist which can devour many Suns. In Hindu Philosophy God is defined – trio: Infinity, Consciousness and Energy (all mighty). The trio together becomes the seat of pleasure. Consciousness is the root of knowledge, when we don’t want to know anything; this consciousness takes the form of pleasure. It can be felt when we slumber deep.